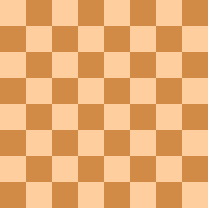 In chess, decoying is the tactic of ensnaring a piece, usually the king or queen, by forcing it to move to a poisoned square with a sacrifice on that square. In the diagram, with Black to play, illustrates two separate decoys. First, the white queen is set up on c4 for a knight fork: 1... Rxc4! 2. Qxc4. Next, the fork is executed by removing the sole defender of the a3-square: 2... Qxb2!+ 3. Rxb2 Na3+ 4. Kc1. Finally, a zwischenzug decoys the king to b2: 4... Bxb2+. After either 5.Kxb2 Nxc4+ 6.Kc3 Rxe4, or 5.Kd1 Nxc4, Black is two pawns ahead and should win comfortably. Perhaps the most celebrated game featuring a decoy theme is Petrosian vs. Pachman, Bled 1961, which also involved a queen sacrifice. This page was last edited on 9 January 2015, at 19:58 (UTC).